3/29/10 -11:00 PM PST – We’ve just discovered the copy of our lost program. The show sounds a lot like a recording of someone running on foot during the Blair Witch Project while reading news. It looks like the information available on BlogTalkRadio is consistent with what happened Thursday. We are still not going back… give today so we can keep the show alive. BTC – Waking Up Orwell, BeatTheChip.org’s regular weekly radio news magazine, has been compromised for the 3rd time in its history of airing on BlogTalkRadio. The show was interrupted by an aggressive hack. The hack preempted the airing of an interview with the Electronic Frontier Foundation’s FOIA counsel, Lee Tien who explained their findings about FBI intrusions on social networks like Facebook and BlogTalkRadio.com. The hack consisted of successive browser crashing to interrupt media uploads, account episode deletions and disparity between the front end display of the episode and oustide interference with the host’s back end capability to view, acknowledge or operate the engineering ports of a rescheduled episode. “We sincerely apologize to regular listeners who expected to hear the scheduled programming. Unfortunately, we cannot reconcile the repeated attempts to hack our accounts with BlogTalkRadio.com and are actively seeking a new radio home for our weekly program. I did all I could do today to air the program,” says Sheila Dean, host, producer and engineer for the dystopian news program. What audience members witnessed at airtime was a non-aired episode scheduled late at 11AM CST featuring the EFF speaker. What the host-engineer saw was a prompt saying, “There are no shows that can be scheduled 3/25/10”. Dean published her technical difficulties using Twitter until the 11 AM CST airtime. She dialed into the BlogTalkRadio host mainframe using the caller code and later spoke for over 30 minutes. The broadcast was never heard. Operating browsers from her MacNotebook crashed repeatedly, interfering uploads of the pre-recorded media and back end access to host tools were rerouted to another webpage. Dean first noticed problems with excessively slow access to her account. She restarted her computer and logged back into her user account. She then discovered her scheduled episode was deleted. BlogTalkRadio, in a reply to service the account said that only a person with access to the account could have deleted the program and that “it could not be done from our end.” The episode was submitted to BlogTalkRadio’s PR department for promotion earlier in the week. In an EFFort to continue to air the radio program another episode was immediately scheduled to air at 11AM CST. Soon to follow Dean experienced interruptions and disparities consisting of successive browser crashes minutes before airtime after logging into her account. Dean mitigated this by switching to another PC right before airtime. She then logged into BlogTalkRadio.com’s online account to produce Waking Up Orwell as scheduled. The Internet Explorer browser then repeatedly rerouted Dean to another newscast featuring Tom DeLay on BlogTalkRadio.com and refusing her user access to her account. “This was by far, the most obvious outside attempt to maliciously pre-empt us in the program’s history. Based on where our program was rerouted it appears politically motivated by those entertained by neo-conservative talk,” said Dean, producer of WakingUpOrwell. WakingUpOrwell, often features controversial news specific to privacy and promotes involvement of citizens in affairs which directly affect American civil liberty. Dean’s broadcasts feature staunch criticisms of current government policies governing citizens rights and national security. While she was dissappointed in her inability to air the program, she is optimistic about funding for a new online and terrestrial home for her popularizing program. BlogTalkRadio.com’s technical staff claim no culpability in the hacking attempts from their end. 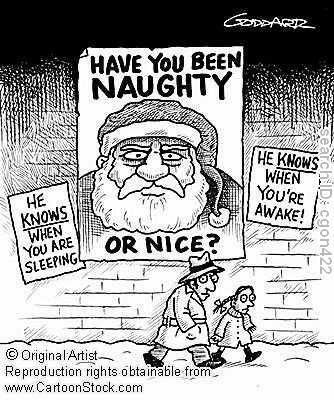 The Holidays are upon us. Americans are focusing more than ever on what’s vital or what we cannot live without: time and money. This Christmas may be better or worse for some for the range of adversity, but we here at BeatTheChip hope to give a better gift of news consistently. To end the year we are looking to improve the quality standards of our content, bring accuracy and expediency to our reporting and a harvest of viewpoints which shape and direct public discourse on the national ID debate, immigration, surveillance, security and identity policy. We are looking for volunteer correspondents to submit content, stories and letters regarding their experiences. With the range of lives the national identity surveillance agenda aspires to reach into, we intend to report on how it affects you. We want to go there. * If you are interested in contributing content for NBST e-mail us at: beatthechip [at] …gmail.com. So every Tuesday we are committed to bringing you better, more comprehensive coverage in News Burst Super Tuesdays. NBST specialized content will be featured every Tuesday to get you through the year end deadline. If you are a subscriber, you will notice significantly more posts on Tuesdays from now throughout the month of December 2009. We will also be increasing microblogging via Facebook and Twitter. Add us today and you will be privy to an the expanded range of news and opinion coverage featured on our weekly BlogTalkRadio.com newscast, Waking Up Orwell. Waking Up Orwell’s online newscasts are archived. You can send your favorite episodes to friends and embed an episode player into your favorite social media websites, like MySpace. 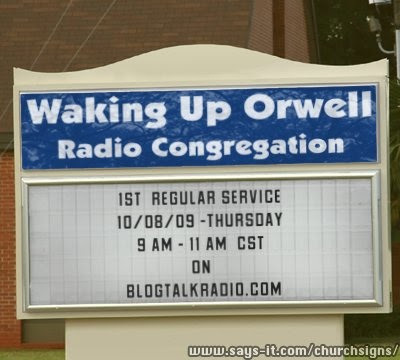 Waking Up Orwell airs live every Thursday morning 9-10 AM CST (except Christmas!). The best gift BeatTheChip can give others at this time is timely information and how you can help yourself and others stop the database state and identity surveillance in your town. We give consistently. Please re-gift others by sending a few friends links to news from our headlines and urge them to susbscribe for FREE to our RSS feeds linked in the top right hand corner of the sidebar. They will receive updates in your mailbox with every BTC post. For now, our gift to you is to give you the latest and greatest news on identity privacy, technology and civil liberty every Tuesday with News Burst Super Tuesdays and specialized continued coverage Thursdays on Waking Up Orwell. HAPPY HOLIDAYS FROM, BEAT THE CHIP! !